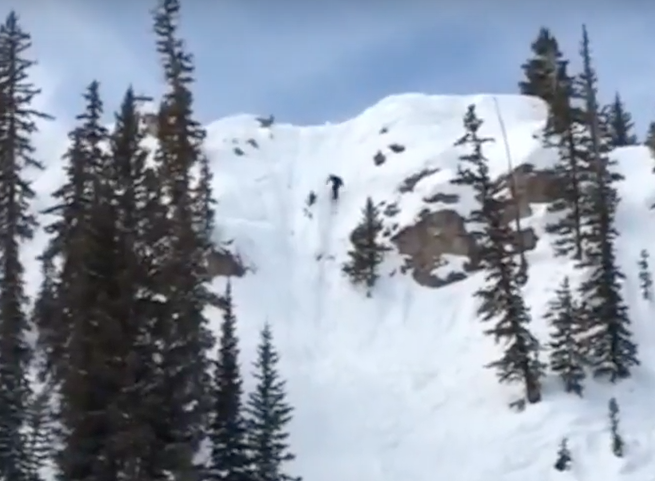 Dagan Schwartz is the lone snowboarder on the CBMST freeride team but he has made a name for himself taking victories and podiums consistently over the last two years and even taking the overall win at the IFSA Junior North American Freeride Championships in Kirkwood last April. The 15 year-old’s natural ability in steep terrain like CBMR combined with style in his airs has made him a leader on the CBMST despite being a younger rider and the only snowboarder in town doing the IFSA junior freeride comp circuit. Enjoy Dagan’s season edit below, with footage from the Kirkwood and CB events and an impressive send in the Edge.